Scientists often are classed to be a group who are so lost within the intricacies of their vast subjects that they forget to look out into the world or explore the horizons of other specialties. We often tend to stereotype scientists into certain classes and blocks based on the achievements they garnered in their respective fields of specialization. We tend to forget that the truly great have always broken the limits imposed on them by society and stereotypes. Today, I am going to talk briefly about one such rebel of science: Santiago Ramon y Cajal. Known to the scientific community for his epoch making work in the fields of neurobiology, Cajal remains immortalized as the Father of Neuroscience. The 1906 Nobel Laureate was forced into the field of Medicine by his father, physician and anatomy lecturer Justo Ramón. However, he was a bit of a rebel himself. He was incarcerated at the age of eleven for demolishing the gates to the city with a home made cannon. Leaving aside the natural genius that is necessary for the designing of a cannon at that age, his ideology of breaking shackles, and being an anti-authoritarian, even at that tender age, is a surprise. Numerous stories about his erudition and successful foray into the realms of Medicine are readily available. So, instead of that, today, I decided to focus on a totally different aspect that this scientist had in life. 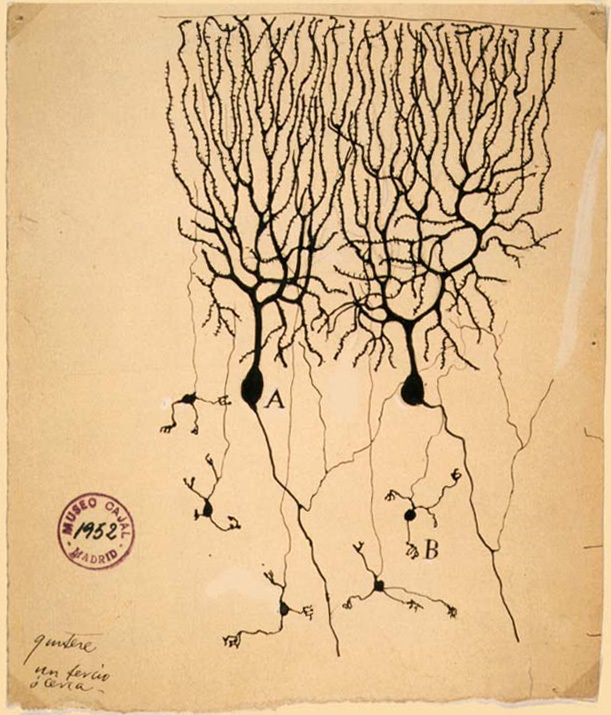 And although little known, Cajal’s dexterity with the written word was also enormous. Although he wrote a series of science fictions, most of them never saw the light of day. A series of five stories did get published around 1905 and even then, Cajal was too wary. The stories contained heavy sexual innuendos, sarcasm directed towards the Church and the Government as well. What was central to these stories were that they were all science fictions. He condemned the useless rhetoric and unquestioned obedience which he found to be limiting the scientific acumen of the day. Entitled Vacation Stories, these somewhat inflammable works were published under his pseudonym, Dr. Bacteria. The fact that they were called Vacation Stories also has a deeper implication. They were a form of expression for him, which allowed him to wonder how far the limits of science might be pushed. The fact that he began his Nobel-winning research into the tangled web of neuroanatomy right after this work was published is also important. These novellas were more than just leisurely activities. They were thought experiments in themselves. Cajal, as he wrote those fictional works, would devise in his mind a practicable alternative which he could execute in his laboratory. 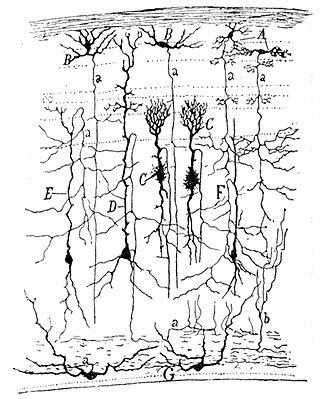 This literary vacation helped Cajal to rejuvenate himself – physically, mentally and spiritually, as he ran after the questions powering his science with great enthusiasm thereafter. He remains one of the greatest multi-talented prodigies to have graced the field of Medicine. But what we need to learn from him today is that Science remains a subject much beyond the scopes of the borders set up by the scientific texts and treatises. In an age when narrative didactic works are rare, stories about scientists like Cajal make us long for the mix of science and literature, a blend which does not tire the mind but invites it to expand, think out of the box. And what is indeed ironic is the fact that this post was inspired when I sat reading about the Physiology of the human Gastrointestinal System and came across the Interstitial Cells of Cajal. The scientist for today, therefore, is man of many qualities, a craftsman of science. Tags: Cajal, DOTM, History of Medicine, MedBlogging, Medical Education, Medical School, Neuroanatomy, PostADay2011. Bookmark the permalink. Previous post ← Impacted Nurse, No More? I love just taking a break from studying and stopping by your web page. I just wish you posted more usually.